IQ Stream Technologies is one of the top Oracle Fusion HCM Training institutes in Bangalore with highly experienced and skilled trainers. IQ Stream Technologies Bangalore also offers placement assistance for students who enrolled in Advanced Oracle Fusion Human Capital Management Training Courses. We offer advanced Oracle Fusion HCM training and advanced tools for better learning, understanding and experience. IQ Stream Technologies also offering Fusion HCM (Human Capital Management Applications) online training for Bangalore, Delhi, Mumbai, and Chennai students. Become an Expert in Oracle Fusion HCM Cloud with IQ Stream Technologies' advanced Oracle Fusion HCM learning programmes. Main highlights of our Oracle Fusion HCM Training in Bangalore (BTM Layout), Delhi, Mumbai, and Chennai are Overview of Oracle Fusion Middleware, Evolution of ERP, Overview of Cloud, Oracle Fusion Applications, Oracle Fusion Application Architecture, All the modules of Fusion HCM, Intensive Practical Training, Advanced Learning Materials & Tools, Friendly Classrooms, World class online infrastructure, hands-on labs, real-world tasks etc. IQ Stream Technologies offer beginner, intermediate and advanced lessons for you to become an expert in the area. The training includes HCM functional and also technical tools available on Fusion HCM Cloud. Oracle has moved most of the configuration and implementation tasks in Fusion HCM to UI as there is a limitation on the level technical customization over cloud. Hence, the Fusion HCM training and Fusion HCM online training at IQ Stream Technologies includes Functional and Technical. You will be given access to Oracle Fusion HCM Cloud instance during the course and you can access it over the internet from any where for practices. We will also help you out on understanding the real life process on Fusion HCM Consulting aspects, Preparation of Resume, Mock Interviews and whatever the help you need to leverage your current experience and learning from training to get on to your next move in your career.. I took Fusion HCM training at IQ Stream Technologies.They have good teaching staff like Mr.Sachin and Bhaskar. The management is very professional and helpful, Affordable fees and quality courses offered. I attended the Oracle Cloud Fusion session in IQ Stream Technologies. Sachin is the Trainer and the Training was good. The trainer explained the fundamental concepts very clearly and showed the roadmap of how to independently explore deeper into details. Is Oracle Fusion HCM an ERP? What kind of role can I expect after I learn Oracle Fusion HCM? How is Oracle Fusion Apps different from Oracle Applications (E-Business suite)? Do I need to know Java to work in Fusion Apps? I am Oracle Apps Technical Consultant. Is Fusion HCM a right choice? I am Oracle Apps HRMS Functional Consultant. Is Fusion HCM a right choice? I am Oracle Apps HRMS Techno Functional Consultant. Is Fusion HCM a right choice? I am from Oracle Apps and I don't want to move to HCM Functional. What is the alternate in Oracle Fusion Apps? What is all about Fusion Cloud? Do I need to learn Cloud to work with Fusion HCM? Am I learning Cloud as part of this training? I am an HR executive and not from technical background. Is Fusion HCM a right choice? I am MBA graduate with HR specialization. Is Fusion HCM a right choice? I am an engineering graduate. Is Fusion HCM a right choice? How long Fusion HCM technology will sustain? There is a buzz about Machine Learning and AI. What is the future for Oracle Fusion HCM? Will I get a job after the Oracle Fusion HCM training? Will I get access to Fusion HCM Cloud instance? Will I get help on preparation for Certification? Will I get help on preparation for Interviews? ERP (Enterprise Resource Planning) is a one stop solution for automating operations of any business enterprise. A business organization needs to deal with various functions related to human resources, finance & accounting, supply chain management, customer relationship management, project portfolio management and so on. All such functional areas need to collaborate and work in an integrated manner to run the business effectively and take right decisions for current and future. ERP provides a software solution to achieve it. ERP is a software product developed by one software vendor with generic features and several software companies build practice teams to implement such ERP products to the enterprises. Implementation and customization is usually done by either Oracle or other software companies like Infosys, Wipro, Capgemni, Accenture and many other small, medium and large software services organizations. Yes, Oracle Fusion HCM is the latest ERP solution from Oracle, offered through Cloud. You will have an opportunity to be part of a team of Oracle Fusion HCM implementation and customization practice teams in software companies like Infosys, Wipro, Capgemni, Accenture, Oracle and many other small, medium and large software services organizations. The consultants are usually called Oracle Fusion HCM functional consultants. Oracle Fusion Middleware (FMW) is a technology stack that provides vital technical modules/frameworks/tools required to develop a large web based enterprise applications like an ERP system. 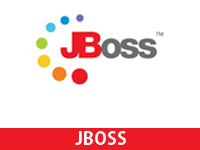 The technology is built based on several industry standards like Java, JEE, SOA, Business Analytics, Security etc., Fusion Middleware primarily comprises of ADF (JEE based framework to develop a web based application using MVC architecture), SOA (Integration, that is required to collaborate among modules of an application, expose interfaces to outside world and consume services from outside world), OBIEE (Reporting framework, very much required in any enterprise solution), OIM (Security, a critical need for any application). 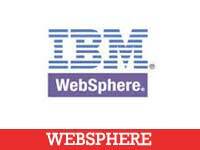 All these are run on world class application server, Weblogic Server. The server provides run time environment for all the modules. Oracle built new generation of ERP, Oracle Fusion Apps, using Oracle Fusion Middleware technology stack. Oracle Applications was primarily based on database technologies and one needs to deal with RDBMS, SQL and PL/SQL technologies to work with Oracle Applications. It's majorly available as on-premise solution and it is in the market almost for last 20 years. 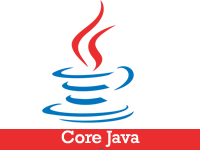 Usually implementation of Oracle Applications needs considerable technical expertise. Fusion Apps are built on FMW. In addition to that, Fusion Apps has greatly improved functionally and technically over its predecessor (E-Business Suite). Oracle has pushed the best of all its ERP solutions like E-Business Suite, Peoplesoft, JDEdwards etc., into Fusion Apps ERP product. It is a cloud based offering and implementation of Fusion HCM is majorly job of a functional consultant with minimal technical expertise. No, Java is not required to work with Fusion Apps. Most of the implementation tasks are functional and can be achieved through Fusion Apps user interface and configuration tools. 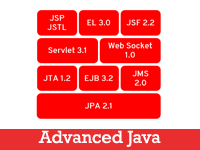 Only dedicated technical people who want to work in the technologies like ADF should be aware of Java. Yes, Fusion HCM implementation is majorly driven by functional tasks unlike one needs to be technical for implementation of Oracle Apps. Hence, it makes a lot of sense to move to Oracle Fusion HCM. Particularly this training provides functional,technical and cloud aspects of Oracle Fusion HCM. Yes, that would be a perfect match. Fusion HCM implementation is majorly driven by functional tasks which is a bit different from implementation of Oracle Apps. Hence, it makes a lot of sense to learn Oracle Fusion HCM. Particularly this training provides functional,technical and cloud aspects of Oracle Fusion HCM. Yes, that would be a good match. Fusion HCM implementation is majorly driven by functional tasks which is a bit different from implementation of Oracle Apps. Hence, it makes a lot of sense to learn Oracle Fusion HCM. Particularly this training provides functional,technical and cloud aspects of Oracle Fusion HCM. You can consider Oracle Fusion Technical. That course covers Oracle ADF, Oracle SOA, Fusion Technical. Fusion HCM is available only as Cloud offering from Oracle. You do not need to learn Cloud separately. This training provides functional,technical and cloud aspects of Fusion HCM. Yes. Fusion HCM is available only as Cloud offering from Oracle. You do not need to learn Cloud separately. This training provides functional,technical and cloud aspects of Fusion HCM. Yes, Fusion HCM implementation is majorly driven by functional tasks. That is one of the primary improvements over its predecessor, Oracle Apps. Since you have HR functional experience, that would be added advantgae while learning and working with Fusion HCM. You need to capitalize on your functional experience and leverage that during your interviews too. You should learn Fusion HCM product and also understand the process followed in implementation, which is missing in your present job. This will be taught as part of the training. Yes, Fusion HCM implementation is majorly driven by functional tasks. That is one of the primary improvements over its predecessor, Oracle Apps. Since you have HR functional knowledge through your MBA experience, that would be added advantage while learning and working with Fusion HCM. You need to capitalize on your functional knowledge and leverage that during your interviews too. You should learn Fusion HCM product and also understand the process followed in implementation. This will be taught as part of the training. If you are an engineering graduate, you can go to any area. Fusion HCM is about HR functionality in the business. HR is simpler to understand compared to any other functional areas like Finance, SCM, CRM etc. If you decided to move towards ERP, yes, Fusion HCM is the best choice considering it is the latest ERP offered on cloud through industry leading company Oracle. There are very few Oracle Fusion experts in the market and several openings are available. Hence, it is expected to have less competition when you go for interviews and of course this will be a long sustained career. You need to learn Fusion HCM product, primarily functional, to start with and you may also consider enhancing your scope by learning more technical areas like ADF, SOA in future after you land in a job. Fusion HCM is part an ERP solution offered by world leading company Oracle. We believe, it is also vital for Oracle, as a business strategy, to make Fusion Apps successful and sustainable solution to be as market leader. Oracle Apps predecessor of Fusion Apps is in the market for last 20 years and a lot of business took place in the industry based on that product. According to the trend, it's obvious that Oracle is focusing on Fusion Apps and recommending the clients to up take Fusion Apps. Hence, we believe, Fusion Apps will be there in the market for several years. We believe, Oracle will be adding more and more feature and make it sustainable. Machine learning and AI are not competitors for Oracle Fusion Apps/HCM. They are technical solutions that can be consumed by any product. Probably, Oracle will only try to leverage those technologies to make Fusion Apps smarter in future. You will be part of that journey being a Fusion HCM consultant. Oracle Fusion HCM is new in the market and this is an ERP product offered on cloud by industry leading company Oracle. There are very few people in the market and several openings. Hence, it is expected to have less competition when you go for interviews. Hence, it should be easier to get a job in Fusion HCM. We will also refer your profile wherever possible. We are there to provide all kind of assistance for your interview preparation. Yes, the topics covered in the training would include almost all the topics related to certification. You should spend some dedicated time once after the training is over to prepare for the certification. You need to buy a voucher to appear for the certification offered by Oracle. You can find more details here . Yes. There will be discussion on interview preparation. Course also includes a final workshop session to revise all the topics, discuss on interview questions, certain assignments. The course will be completed within 45 days to 60 days based on the what kind of schedules is chosen by you. If your requirement is different, we also provide custom fast track course. Please contact IQ Stream Technologies for details on the fee.